20th Century Fox's X-Men: Apocalypse, which starts production next month in Montreal, will close out the trilogy started by X-Men: First Class and X-Men: Days of Future Past, which were set in the 1960s and 1970s respectfully. It has already been confirmed that X-Men: Apocalypse is set in the 1980s, with new cast members such as Alexandra Shipp (Storm), Sophie Turner (Jean Grey), Tye Sheridan (Cyclops) and Kodi Smit-McPhee (Nightcrawler) coming aboard to play younger versions of franchise favorite characters. Last night, Sophie Turner attended the U.K. premiere of her hit series Game of Thrones, where she revealed how excited she was to play Jean Grey, while adding that she "feels at home" with a franchise like X-Men that has such a loyal fan base. "It's very, very exciting. It's beyond exciting, actually. It's got such a loyal fanbase, kind of like the Game of Thrones fanbase. I feel very at home with a loyal fanbase and I just hope that I make them proud." Sophie Turner added that she's delving through the comic books for research, but, obviously, this is a much younger version of the original Jean Grey character played by Famke Janssen in the first X-Men trilogy. When asked how her version will be different, the actress had this to say. "I mean, Famke did it so well. I just kind of want to bring a bit of a naivete to her. I don't really know. I can't say much, but I'll give her a little twist." 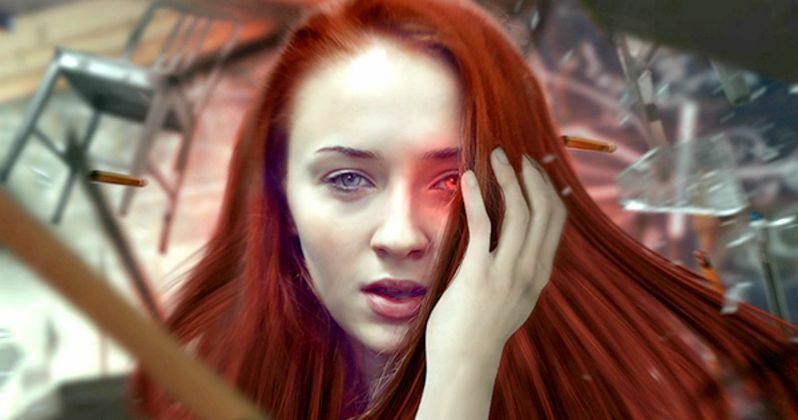 Do you think Sophie Turner has what it takes to play a younger Jean Grey? There is still very little we know about the X-Men: Apocalypse, but hopefully we learn more as we get closer to production starting up on director Bryan Singer's superhero sequel. Take a look at Sophie Turner's video interview below, and stay tuned for more on X-Men: Apocalypse, which is set for release on May 27, 2016.